The SBS is an inspiring initiative for it brings together prominent managers and talented young people who have the potential to become the business leaders of the future! Through the SBS we are contributing to our common goal which is to nurture the future business leaders by helping them communicate with renowned international professors and business pundits who share their versatile management expertise. I’m convinced that the influence of the SBS will grow in the years to come granting benefit and recognition to its expanding community of alumni. 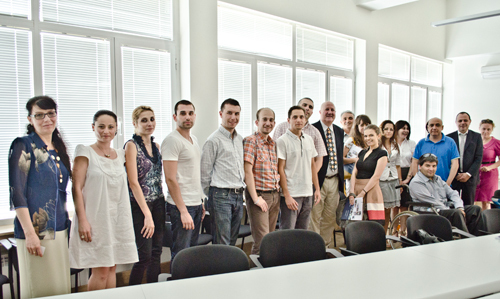 The SBS is a place where you meet people with similar interests and gain a fresh perspective on business developments. It inspires me with new ideas and energy to keep on doing business successfully. Rayna Mitkova-Todorova, Managing Director at EOS Matrix Ltd.